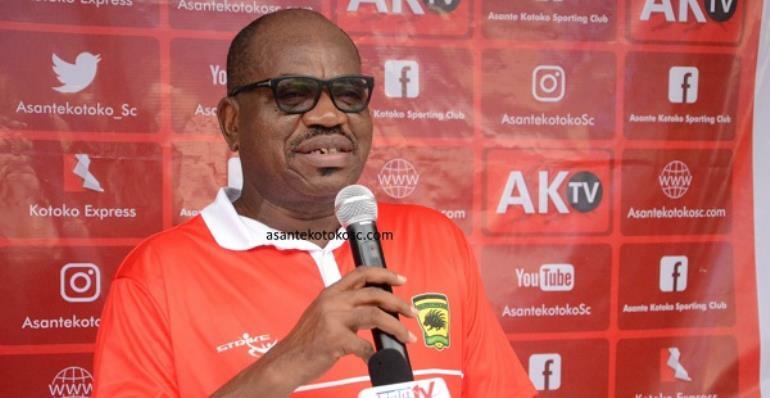 Chief Executive Officer of Kumasi Asante Kotoko, George Amoako has given his outfit a target to reach during their Normalization Competition campaign which will kickoff on Sunday. Speaking to the team at the Adako Jachie training ground, George Amoako adomished his plays to win the ultimate prize as their involvement in the CAF Confederations Cup puts them ahead of the other teams. ''The target for you is to win the competition which begins on Sunday,'' Amoako said. The Porcupine Warriors failed to progress out of their CAF Confederations Cup group stage and will play Aduana Stars in the Normaliztion Competition. The teams that will finish top will present Ghana in the next African Club competition.